Brigade's 550 Survival Paracord is a braided nylon parachute canopy suspension cord with 7 inner nylon cords. 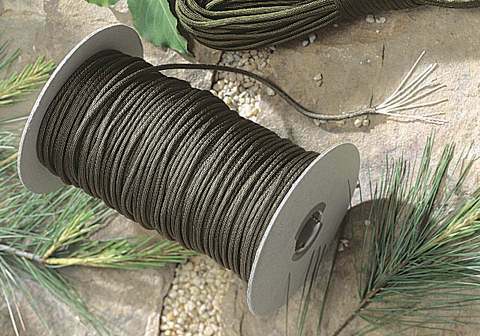 It is a perfect solution for tent guy lines, stringing tarps or camouflage, lacing, lashing gear, emergencies, bootlaces - literally hundreds of uses at home or in camp. Great for survival and camp necessities. Remove inner lines in a SERE survival situation for use as fishing line, thread for emergency sewing repairs, floss, net making, sutures, bracelets and more. Makes GREAT Boot Laces! 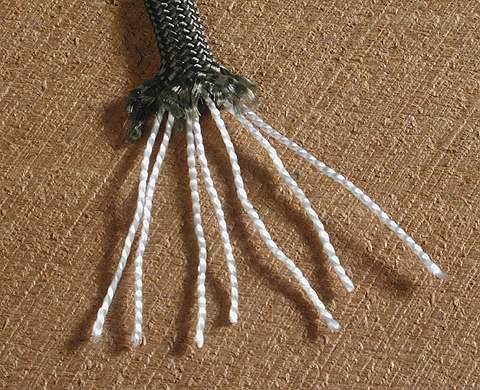 Construction: MIL-C-5040H Type III continuous filament nylon shroud cord has 7 inner cabled/ twisted nylon strands in its core. Great stuff!!! You can never have too much. Mine did not come on a spool as shown. It was rolled onto a core only. No worries though.